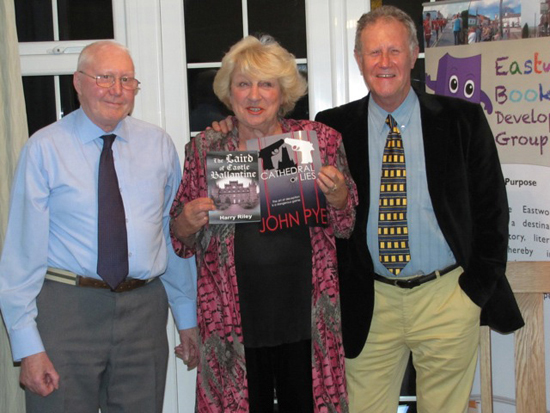 Harry Riley's latest book, 'The Laird of Castle Ballantine' promoted by celebrity, singer-songwriter and Patron of Eastwood Booktown, Jackie Trent. Eastwood Booktown Development Group was created to improve tourism in Eastwood and the Midlands, thorough the awareness of literacy, culture and the arts, particularly amongst deprived youngsters. We commend the Eastwood Booktown Project initiative and wish the Eastwood Booktown Development Group every success. Pneuma Springs is passionate about books and the authors who write them.